This app provides you with diet plans and samples for 1200 and 1500 calories a day. Also famous 3 Day Diet is included . What's good is: plans contain food that many people wouldn't mind eating while losing weight. And usually no matter what your current weight is, 1200 calories a day will bring down your weight. Or choose alternatively 1500 calories instead, if it fits you better. Included are: - Five Days Meal Plan 1200 Calories a Day - Mexican-American Food 1200 Calories in a Day - 3 Samples of 1200 Calories a Day Meals - Southern Style Food 1200 Calories a Day - Another 2 Samples of 1200 Calories a Day Meals - 5 Days Diet Plan A (1500 calories each day) - 5 Days Diet Plan B (1500 calories each day) - 7 Days Diet Plan (1500 calories each day) - 5 meals (1500 calories total) - Vegetarian meal plan (1500 calories) - 2 Samples of 1500 calories meals (each) - Advices on how to succeed on 1200 and 1500 Calories Diets Also please find famose 3day diet included in this app.Surprisingly surviving the test of time, the 3 Day Diet is dating back to 1985. 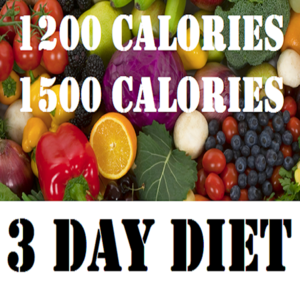 Copies of the "3 Day Diet" continue to float around cyberspace, promising quick weight loss, cleansing, lower cholesterol, and increased energy. However, no diet book exists to substantiate the science behind the "unique metabolic reaction." Regular price is $5, on sale now ! And don't forget to leave some positive comments here if you like this app! Have you ever wondered how many calories you will consume by drinking a beer of your choice ? How about how much alcohol that beer might contain ? What about those crackers , nuts or pretzels ? Guess no more ! 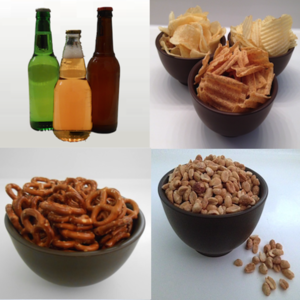 ***ON SALE NOW *** This app shows calories in your favorite snacks and alcoholic beverages . All beer beverages also have alcohol by volume displayed along with calories Following junk food categories included in the app : -Bars -Chips -Crackers -Nuts & Seeds -Pretzels Also please find calories and alcohol by volume in Beer and other popular alcoholic beverages Have this app handy whenever you need to look up nutritional value of your favorite snack or drink ! 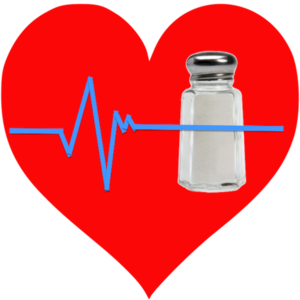 Want to visit a fast food restaurant but you need to keep sodium to a minimum and doesn't know what to order ? This app shows items of popular fast food chain restaurants with low amount of sodium (compare to all other food items in that restaurant). This should be helpful for people who keep track of amount of sodium they consume and help with Dash Diet. ***ON SALE NOW *** App also locates listed restaurants 30 miles around your current location using Apple Maps on your iPhone/iPad. There are following 26 restaurants included : - A&W - Arby's - Baja Fresh - Boston Market - Burger King - Burgerville - Carl's Jr - Chevy's - Chicken express - DQ - Del Taco - Extreme Pita - Five Guys - Goodtimes - Islands - Jack in the Box - KFC - Little Caesars - McDonald's - Noodles & Company - Panera Bread - Rubio's - Subway - Taco Bell - Wendy's - Whataburger Download now and get free updates every time we add more restaurants or update existing ! 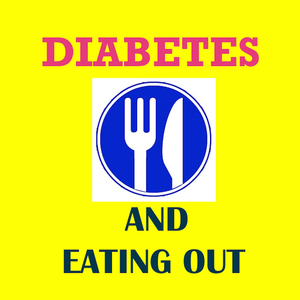 You have diabetes , want to eat out at a fast food place or a restaurant but wondering what to order ? This app solves this and shows you diabetic menu for you and many like you who have diabetes. App shows menus for 8 popular restaurants that put together menus for people with diabetes: - Chich-fil-A - Colton's Steakhouse - Long John Silver's - McDonald's - Subway - Taco Bell - Ted's Montana - The Keg You can also use "Find near me " GPS option to find selected restaurant . 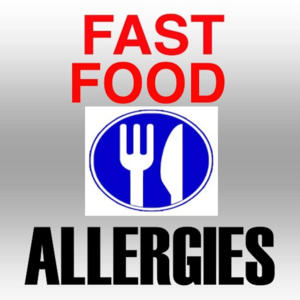 This app shows food items that people with most food allergies can eat in a fast food chain restaurant. 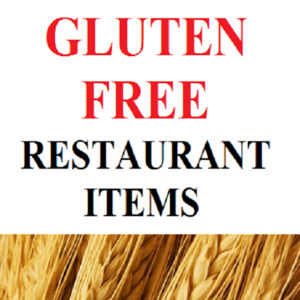 Each restaurant divided in such categories as : - Wheat-Free Items - Gluten-Free Items - Peanut-Free Items - Tree Nut-Free Items - Egg-Free Items - Milk-Free Items - Soybean-Free Items - Fish-Free Items - Shellfish-Free Items - MSG-Free Items - Diary-Free Items So far following 17 restaurants are included : - A&W - Applebee's - Blimpie - Boston market - Burger King - California Pizza Kitchen - Carl's Jr. - Chipotle - Cici's Pizza - Culver's - Denny's - Desert Moon - Ihop - KFC - Olive Garden - Wendy's - Zaxby's We are working to add more restaurants. Right now there are 17 restaurants and fast-food chains included.Buy now for introductory price of $0.99 and update later as soon as we add more restaurants regardless if price goes up! App is perfect for people with food allergies because it includes 80-90% of all food allergies. No matter if you are looking for gluten free , wheat free,egg free,fish free,msg free,soy free,milk free,peanut free,tree nut free or shellfish free food- this app will show you choices according to your needs. If you have a food allergy or aversion and can't tolerate such ingredients as gluten, wheat, milk or fish it is hard sometimes to eat out and know what to order. Our app making dining out easy for people with most food allergies. 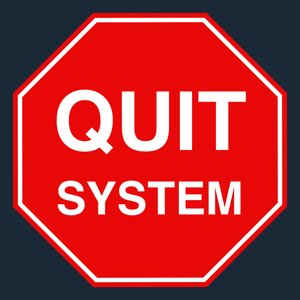 Sometimes quitting a bad habit requires sticking to a system. But what about those days when you would like to drink/smoke socially or when you just quit but crave to have one more ... ? This app allows you to collect Health Points for each hour and day you don't do your addiction and use those Health Points when you need them. __________________ Rules are simple : Each hour without an addiction earns you 1 Health Point (or 24 Health points per 24 hours). However first day on which you use your addiction will cost you 48 Health Points. Each time after that you will need double as many Health Points as you used before to earn next cheat day. 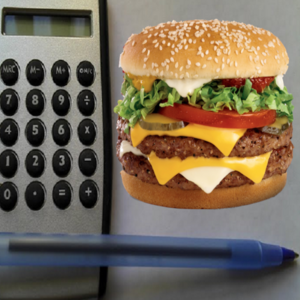 So for example first cheat day on which you may use you addiction will cost you 48 Health Points, second day will cost you 96 Health points, third day will cost you 192 Health Points, fourth cheat day will cost you 384 Health Points etc. Earn badges to get extra Health Points. But be careful !Mathematically you can only have approximately 8 cheat days available in the whole year ! Plan them very carefully because it might seem like it starts easy but very soon you will be out of cheat days! Keep them for the most important days and holidays or don't use them at all. Let others know you can do it socially ! Set up a goal timeline and see progress on the main screen. Read motivational reasons why you should quit your addiction Our app will keep track of how many Health Points you’ve earned and how many you still can use. Keep in mind if you have any cheat days available, you can only use them till midnight of that day only. Otherwise you need to log in two separate cheat days - one before and one after midnight. App is also iPad able. 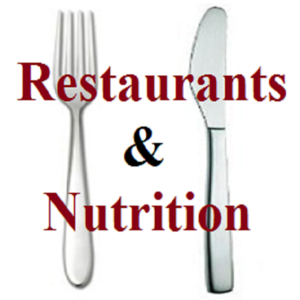 Best Restaurant Nutrition Guide plus Food Score Calculator in one app for iPhone/iPad or iPod! *Top 10 paid app on Amazon* (Health & Fitness, February 2013) App provides you with Calories,Food Score,Carbs,Sodium,Protein ,Fiber for more than 310 restaurants,fast food chains and buffets.Also lets you find listed restaurants near you and includes Food Score and BMI calculators! ***ON SALE NOW *** √Over 310 most popular restaurants, fast food chains and buffets included √Includes Food Score calculators for old AND new food score systems √Includes British Food Score calculator √Includes BMI calculator for both American AND Metric systems.Know your BMI no matter if you use pounds, feet ,inches or centimeters,kilograms and meters √Find Near Me option lets you locate listed restaurants within 30 miles(50km) near your current location √Create list of your favorite restaurants √This app is iPad HD ready!On iPhone or iPod works as iPhone app, on iPad works as iPad HD version.Why pay extra ?Use this app on iPhone,iPod or iPad √No internet needed. All info is stored in your device, so you can access it anytime , anywhere √Our similar sister-app is very popular on other platforms as well √Menus are being updated all the time,so you are provided most current information.Don't get stuck with an app that shows old menus √In addition please find all major Movie Theaters Popcorn, Snacks and Drinks calories √Screen is re-sizable,so you can make it small or large with movement of you fingertips in case you need larger size letters √No internet needed. All info is stored in your device, so you can access it anytime , anywhere Use this app also to plan ahead what to order and know how many calories, food score or carbs you will consume before you go out. We show current menus. Reviews of our sister-app on other platforms: ***** Jim Best I have found.I really like the ability to zoom in. I use it check carbs on my diabetic diet. ***** Elzabeth Love itSo helpful in tracking daily points ***** Krystal Great I have been waiting for this app to come...it is the best! BEST nutrition eating out guide AND food score calculator in one app ! If you are in a restaurant or planning to visit one and need nutritional info regarding its meals - this app is all you will ever need.App shows calories,already calculated smart food score,old food score,carbs,sodium,fat,fiber for over 310 most popular restaurants,fast food chains and even buffets.Menus are being constantly updated.App also lets you locate listed restaurants 30 miles(50 km) near your current location; create list of your favorite restaurants.Food score calculators for old and new systems are also included in the app!BMI calculator included here too! *** We are updating this app bi-weekly to add new Smart Score to existing restaurants*** Users write about lost weight using our app since 2011! Get free updates anytime we add awesome features or update menus .Updates are always FREE !Plus this app is also designed for your iPad as well as iPhone, so no need to pay for separate iPad or iPhone version √310+ restaurants and fast food chains included. This is the ONLY app with such great database you can find.Even popular buffets are included!Menus are being updated all the time. √Includes Food Score calculators √Conveniently shows you whole menu and nutritional information and not just one item at a time √More than 500 5-stars reviews on App Store √Includes BMI calculator for both American AND Metric systems.Know your BMI no matter if you use pounds, feet ,inches or centimeters,kilograms and meters √Use "Find near me" GPS option to find your favorite restaurant within 30 miles (50km) near you √iPad HD ready!On iPhone or iPod works as iPhone app, on iPad works as iPad HD version. No need to pay for separate app for your iPad or iPhone! √Includes even some popular Canadian and UK restaurants √Menus are being updated all the time, so you are provided most current information. We care! Don't get stuck with an app that shows old menus √Make a list of your favorite restaurants √No points calculator or counter needed - food score and classic food score already calculated for you for all food items √No Internet needed! All info is stored in your device - access it anytime, anywhere √In addition please find all major Movie Theaters Popcorn, Snacks and Drinks calories. √Screen is re-sizable, so you can make it small or large with movement of you fingertips in case you need larger size letters. √Very helpful especially for diet watchers who count Food Score (old and new-both included in this app) ! √Search Restaurants- search box is included to find restaurants easy √Watch yourself lose weight when using portion control ______________________________ Smart Units = New Smart Score Units = Food Score Classic Units = Old Food Score ______________________________ *****I LOVE this App!It has been so helpful! So far I have lost 40 pounds.This app is sure to help me lose 25 more! ***** - Maria Santiago Use this app also to plan ahead what to order and know how many calories or carbs you will consume beforehand. 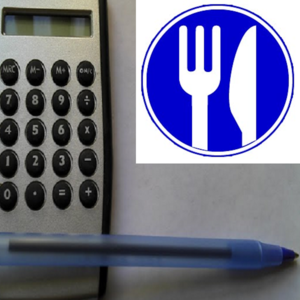 BEST nutrition eating out guide AND food score calculators in one app ! If you are in a restaurant or planning to visit one and need nutritional info regarding its meals - this app is all you will ever need.App shows calories, already calculated smart food score, old food score,carbs,sodium,fat,fiber for over 310 most popular restaurants,fast food chains and even buffets.Food Score Calculators + BMI calculators for American and Metric systems included. Menus are being constantly updated.App also lets you locate listed restaurants 30 miles(50 km) near your current location; create list of your favorite restaurants.Food score calculators for old and new systems are also included in the app! *** We are updating this app bi-weekly to add new Smart Score to existing restaurants*** Users write about lost weight using our app since 2011! Get free updates anytime we add awesome features or update menus .Updates are always FREE !Plus this app is also designed for your iPad as well as iPhone, so no need to pay for separate iPad or iPhone version √310+ restaurants and fast food chains included. This is the ONLY app with such great database you can find.Even popular buffets are included!Menus are being updated all the time. √Includes Food Score calculators √Conveniently shows you whole menu and nutritional information and not just one item at a time √More than 500 5-stars reviews on App Store √Includes BMI calculator for both American AND Metric systems.Know your BMI no matter if you use pounds, feet ,inches or centimeters,kilograms and meters √Use "Find near me" GPS option to find your favorite restaurant within 30 miles (50km) near you √iPad HD ready!On iPhone or iPod works as iPhone app, on iPad works as iPad HD version. No need to pay for separate app for your iPad or iPhone! √Includes even some popular Canadian and UK restaurants √Menus are being updated all the time, so you are provided most current information. We care! Don't get stuck with an app that shows old menus √Make a list of your favorite restaurants √No points calculator or counter needed - food score and classic food score already calculated for you for all food items √No Internet needed! All info is stored in your device - access it anytime, anywhere √In addition please find all major Movie Theaters Popcorn, Snacks and Drinks calories. √Screen is re-sizable, so you can make it small or large with movement of you fingertips in case you need larger size letters. √Very helpful especially for diet watchers who count Food Score (old and new-both included in this app) ! √Search Restaurants- search box is included to find restaurants easy √Watch yourself lose weight when using portion control ______________________________ Smart Units = New Smart Score Units = Previous Food Score Classic Units = Old Food Score ______________________________ *****I LOVE this App!It has been so helpful! So far I have lost 40 pounds.This app is sure to help me lose 25 more! ***** - Maria Santiago Use this app also to plan ahead what to order and know how many calories or carbs you will consume beforehand.